First, I have to say that I am amazed how fast the time has gone since my last post. It is hard to believe it has been more than three and a half months. But at this point I wanted to let my friends know some news about the galleries where my work can be seen (and purchased … 🙂 ). 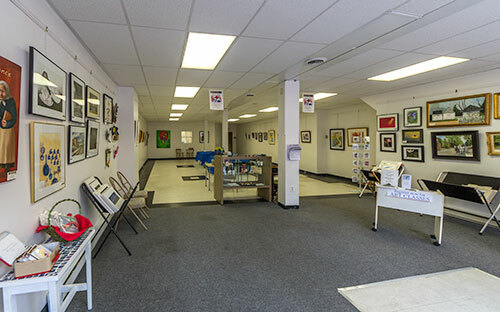 One of the things that has been keeping me busy is the setup of a new gallery in Martinsburg. I have been on the Board of the Berkeley Arts Council for more than four years and this summer we finally were able to open a gallery space that supports and artists’ co-op, special exhibits, classes and workshops and other special events. It is called the Berkeley Art Works and it is located at 116 North Queen Street in Martinsburg. There you can find a good selection of my prints and copies of my four books, including the “Asylum” project. Please drop by when you can and check it out. The second piece of news, if you haven’t heard, is the reopening of the Ice House in Berkeley Springs. The Ice House Artists’ Co-op is back up and running and I have a selection of work there as well. And not to be forgotten is that I am still in the Washington Street Artists’ Cooperative in Charles Town. Over the summer I’ve had some back issues that have severely restricted my mobility so I have not been out photographing very much. However, things seem to be gradually improving and I expect to have some images to post in the near future.